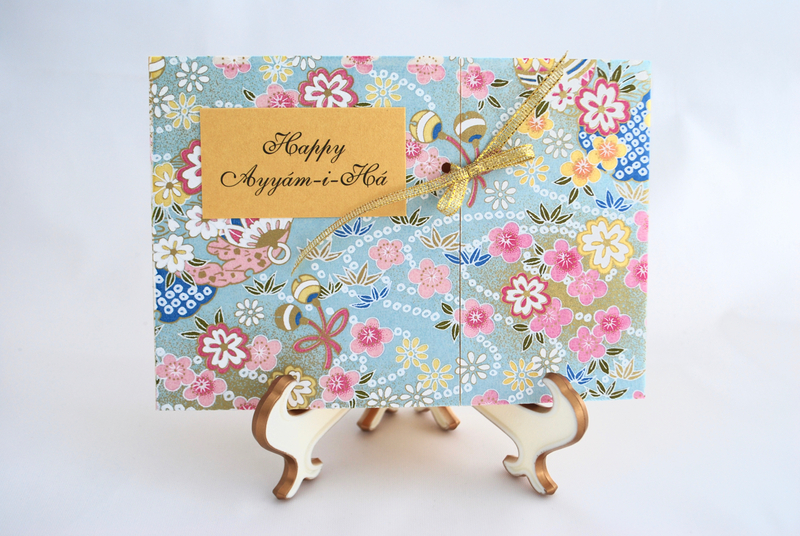 The season of Ayyam-i-Ha will soon be upon us! It is one of the most festive times of the year for Bahá’ís. During these days, Bahá’ís all around the world celebrate by visiting friends, giving gifts and through acts of charity. For this special occasion I will be making my CD, ‘Meditations for the Fast’, available in a discounted bundle of 5 CDs (they make great gifts). 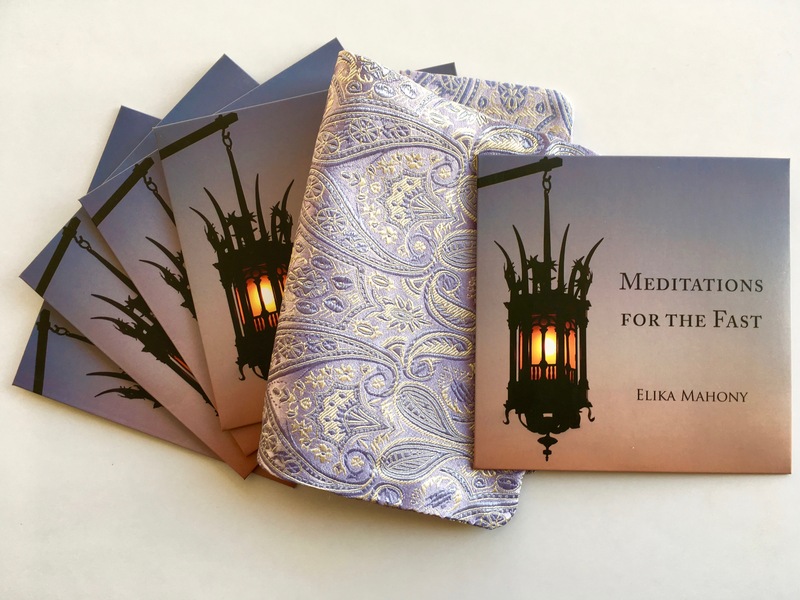 With each purchase of the bundle, I will be adding a free silk prayer book cover as my present to you. Click here for more details. Until the end of January, everything in my Etsy store will be 10% off including new items (I just added a new set of prayer beads in the color ebony and Baha’i greeting cards for Ayyam-i-Ha or any other occasion) to my shop! ALL of my music is also on sale until the end of January on my website. Use the code AYYAMIHA19 for a 10% discount at checkout (you can also click ‘Send as Gift’ and write a special note to friends or loved ones). If you are a subscriber of my blog posts, I apologize for the accidental old blog posts that have made their way to your email yesterday! We have fixed the issue so thank you for your patience! So I wrote down some answers for her and decided to share them on my blog. * Of course there are more things on the list but these are the ones that stood out for us. The subject of marriage is one that is dear to my heart so I made a special page on my website on the theme of marriage and share some resources. On our 10th anniversary we made a booklet called ‘Getting to know you’ – we came up with different questions on varying themes as a way to share more and explore deeper. I share that booklet as a gift download on the page of resources as well. Here is a link to the resources page on love and marriage. In 2009 I released an album titled ‘Birds of Love’ on the theme of love and marriage to be given as a gift to friends and loved ones. Birds of Love is a treasury of uplifting words and inspiring songs specially created for weddings, anniversaries and an ideal gift for your loved ones. It includes a diverse five song album from varied sources with five additional instrumental tracks for live performances and background at special events. 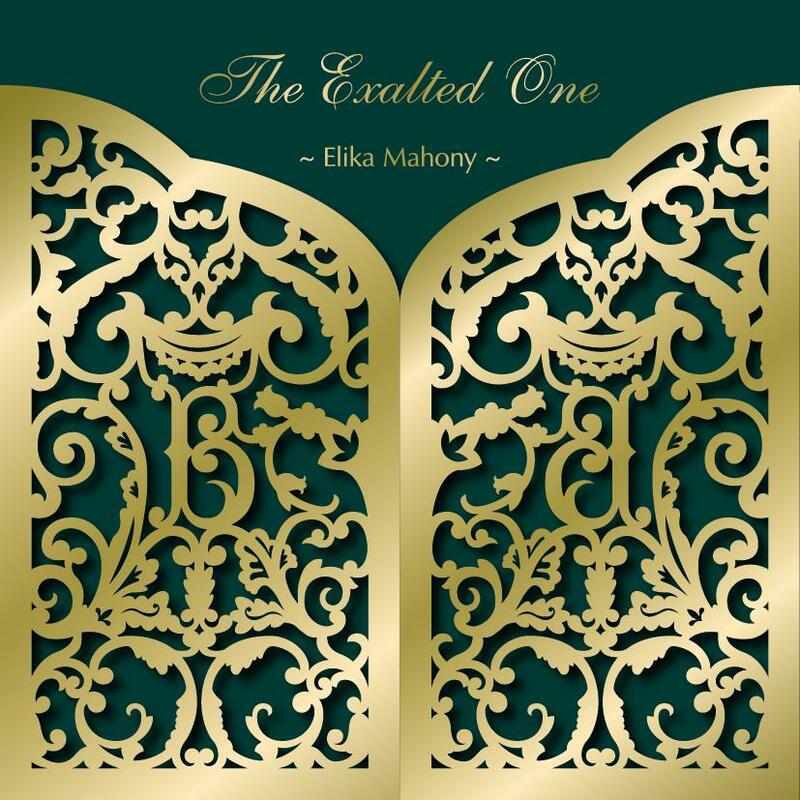 The album includes inspiring quotations from Abdu’l-Baha, features a famous Bible quotation, ‘Love is Patient’ and song ‘Where There Is Love’ featuring a poem by French author Hentri Matisse and an Apache Wedding Blessing. Use the code ‘elika20’ to get a 20% discount for the Birds of Love gift set only in January! 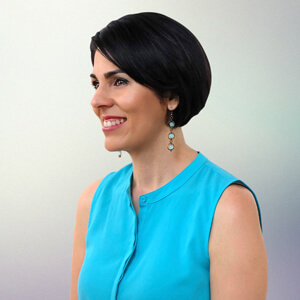 Join Elika’s music family list and receive 3 music gift downloads as well as updates abot the upcoming album on the bicentenary of the Birth of The Báb. As we are reaching the end of 2018, I wanted to take a moment to thank you for being a part of my music journey. I am still marveling at all the loving support I received for my Kickstarter campaign in the month of November. I’m feeling so very blessed and am now working diligently with my talented producer, Daniel Rinaldi, to get this album out to you in 2019. Currently we are exploring the beautiful sound of the flamenco guitar (one of my favorite guitar styles, originating in Southern Spain). Daniel and I wanted to give some of the songs on the album a Spanish flavor. This style of playing is unique so Daniel looked for a specialist in Bogotá where he found Eliécer Martínez. Eliécer lived in Spain for several years just to hone his flamenco playing. A lot of the style is based on improvisation: the act of spontaneously playing unrehearsed. Daniel met up with Eliécer and improvised the guitar parts in a studio in Bogotá. The result was glorious! The guitar was so beautiful for one of the songs that it ended up replacing the original piano part (I’m so thrilled)! These types of recording sessions rely a lot on trust, prayer and chemistry. As I reflect on the past year, I feel extremely blessed to be able to compose and record music during this special time in history. And what a blessing to be able to share it with you! As we approach the last few days of 2018, I am overwhelmed with gratitude for friends like you all over the world. Wishing you a joyous year ahead in 2019! As this is the holiday season, here is a cover of the song ‘Mary did you know’ that I recorded a couple of years ago. Enjoy! Click here to listen to the song. Only 48 hours remain until our Kickstarter Campaign ends on Nov 30 at 10 am EST/7 am PST (11 pm AWST) and 11pm Beijing time! I am most grateful to all who have supported me throughout the process! 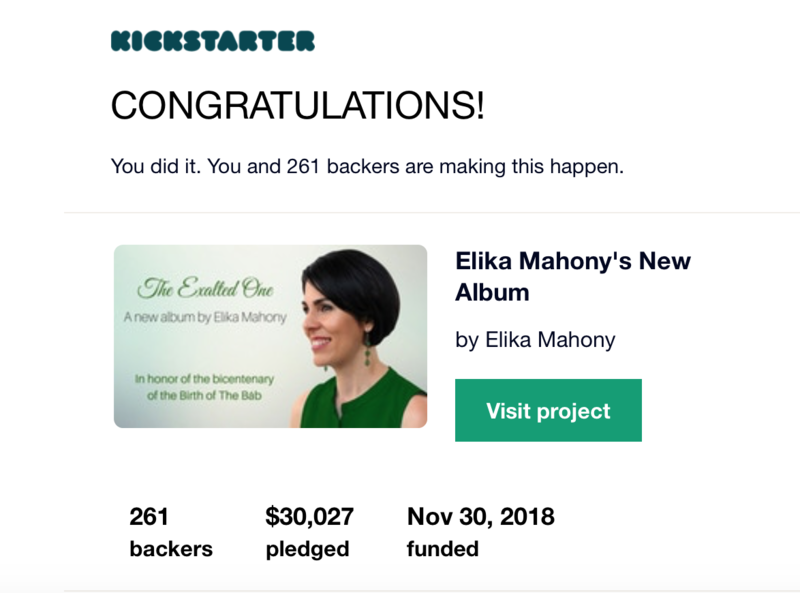 During these final hours any additional funds received will go towards producing an additional new album that will be released in 2021 in honor of ‘Abdu’l-Bahá, thus making a trilogy together with “The Ancient Beauty” (for the bicentenary of the Birth of Baha’u’llah) and “The Exalted One” (for the bicentenary of the Birth of the Báb). With my deepest thanks for your support of my music! I could not have done it without you. The striking gold laser cut cover traces the design of the gate that leads to the Shrine of The Báb, and the green cardstock invokes His memory. The design also reflects that of ‘The Ancient Beauty’, creating twin album covers for the twin bicentenaries of the Twin Manifestations! As we only have a few days remaining for the Kickstarter campaign, I wanted to be sure to share this with you before it ends. Only 4 days left to support the project! It is the season of Thanksgiving and I wanted to let you know how much I appreciate all your support of my music. This month in particular I have been blown away by all the kind support of my Kickstarter campaign! Thank you! As a gift for all backers of the Kickstarter campaign, I will be giving a free download of the song and video for the ‘Prayer for Protection’ (after Nov 30 when the campaign ends). Any funds received during the next 7 days will be used for an additional album in honor of ‘Abdu’l-Bahá in 2021. Thank you for all your kind support and for spreading the word. And thank you for all your incredible support of the Kickstarter! I’d be so grateful if you would continue to spread the word about the Campaign. Six months ago I started creating a video for my Kickstarter campaign to share my thoughts about the new album we are making titled ‘The Exalted One’ (see video below). At first the process was daunting. Knowing this sacred event comes once in a lifetime raised the bar for composing music that would be worthy of the occasion. Several friends had encouraged me to launch a Kickstarter as a way of involving the community in the making of this album. 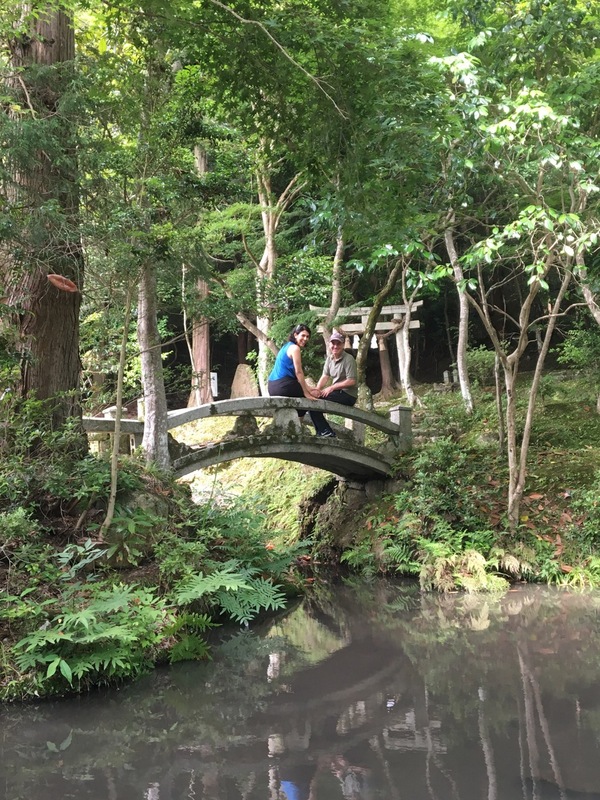 I was hesitant at first but then realised what better way of overcoming my fears! 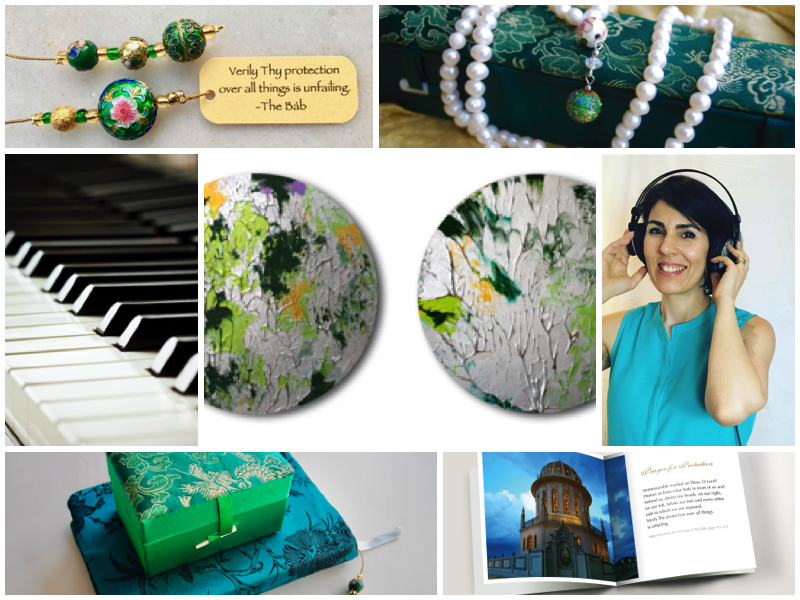 But I decided to practice courage, determination and perseverance in order to accomplish the goal I had set out to create an album in honor of the Bicentenary of the Birth of The Báb. Below are three reasons I decided to do a crowdfunding campaign. Below is the video I created for the Kickstarter explaining the project and sharing some of the details of the album. We have 11 days left to the end of the campaign! Please share the video with your friends. Even though we have made our goal we hope to fund a second album in honor of Abdu’l-Bahá for 2021! I am already collecting the songs to start on the project as soon as I finish this album for The Báb. To support the Kickstarter click here. I am also accepting PayPal payments separately (please contact me here about that) and also WeChat funds. We are now at the mid-way point of the Kickstarter campaign. 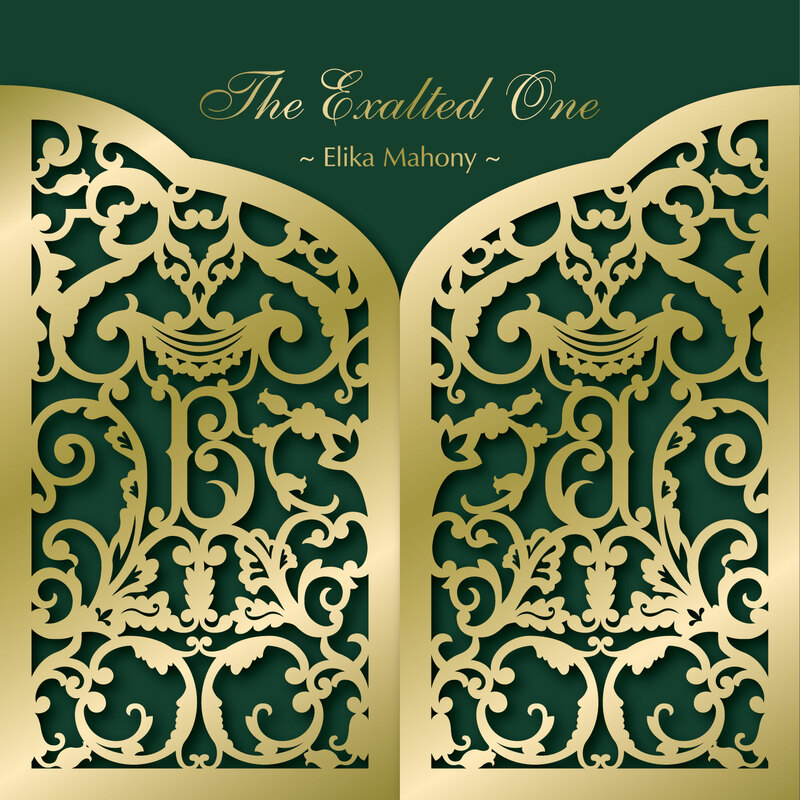 I am very excited to share that we reached our goal for ‘The Exalted One’ in the first week of the campaign!! Going forward, any additional funds received from now until Nov 30th will go towards the production of a second new album in honor of Abdu’l-Bahá. All these rewards come with CD “The Exalted One”. Within each package there is a unique digital download code for the album. 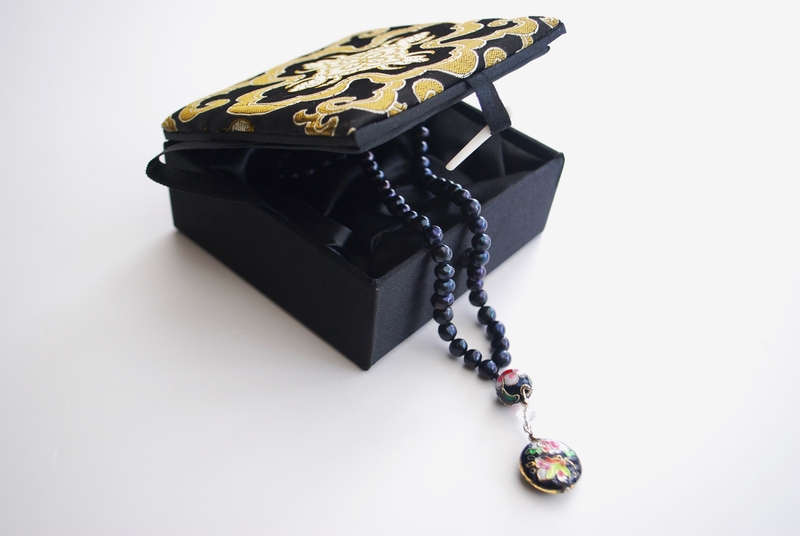 Prayer book cover with beaded bookmark + 10 CDs – The beaded bookmarks are packaged in an elegant green silk box. An inspiring quotation from The Báb is attached. 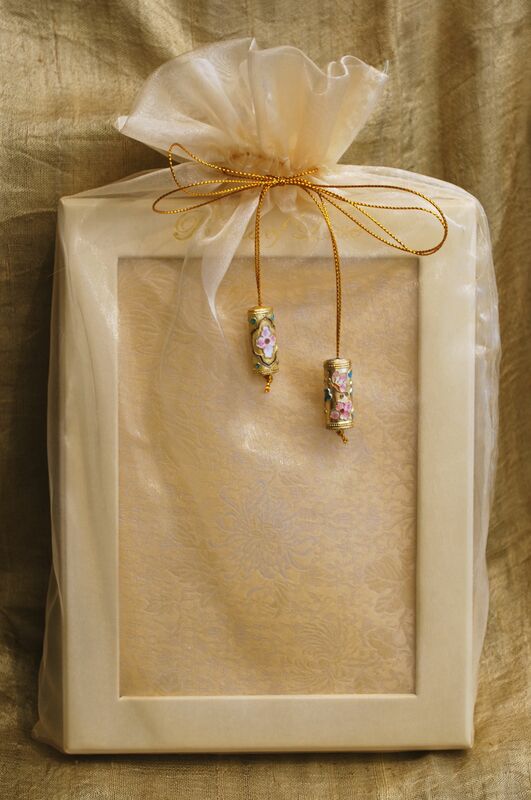 This package also comes with a matching teal Silk Prayer Book Cover. Twin Abstract Paintings – I painted two matching round silver and forest green abstract paintings which are titled ‘AFRICAN FOREST’ and ‘ARRIVAL OF SPRING’. 20 CD gift pack – A pack of 20 signed CDs of the new album to share with your friends (each CD package comes with a unique digital download code). 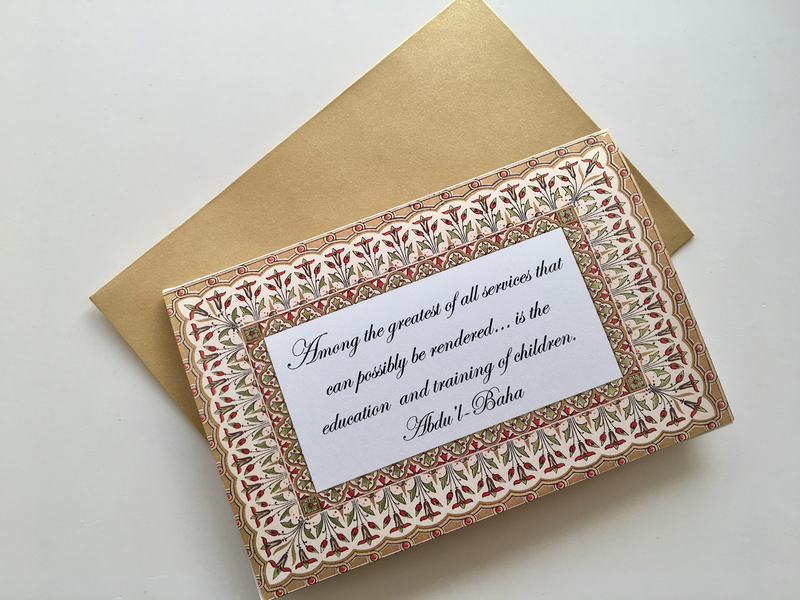 Perfect gift for the upcoming celebrations for the bicentenary of the Birth of The Báb. Thank you for all your kind support in this campaign and for sharing the project with your friends. To watch a slideshow of the rewards go to www.elikamahonykickstarter.com under the Updates section. 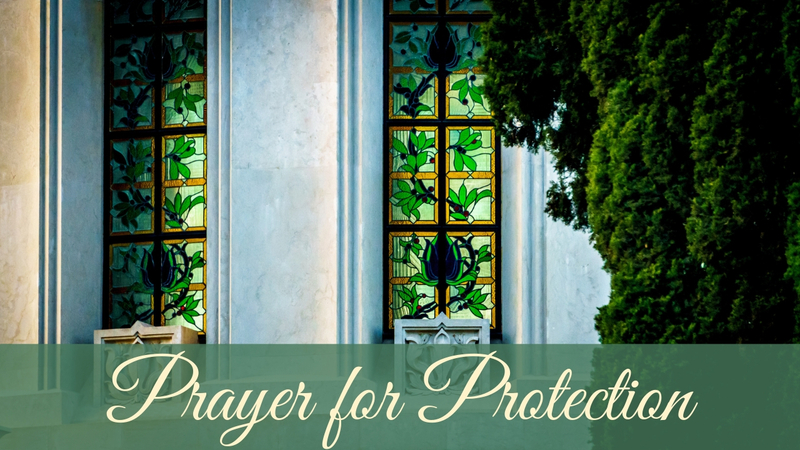 As a gift for the 199th anniversary of the Birth of The Báb, I am thrilled to share with you a new video for a song called ‘Prayer for Protection’. 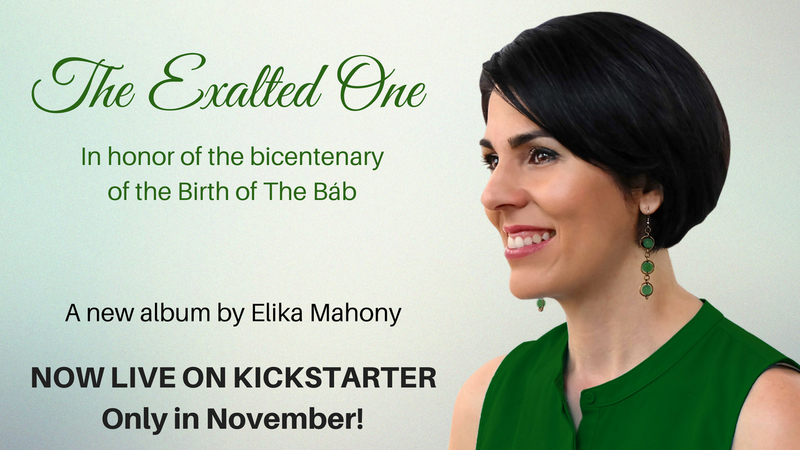 The words are from a prayer of The Báb and the piece will be on my upcoming album “The Exalted One”. Many thanks to Daniel Badi Rinaldi for producing and mastering the song, to Stefano Pizzaia for mixing, and to Sacha Ghalili for creating the video. I also want to take this opportunity to thank you for all your support of the Kickstarter Campaign! We reached our goal in 3 days! As the campaign is still live till November 30th, I’d be so grateful if you would continue to spread the word about the Kickstarter Campaign. Any additional funds will be used for an additional second new album. Here is a link to Support the Kickstarter Campaign. Some of the rewards of the Kickstarter Campaign.